Looking for Fun Gift Ideas? 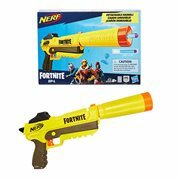 How About Nerf Toys? the blasters and roleplay toys, are terrific gifts for kids and adults alike... including you. You can't lose with Nerf! 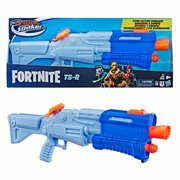 Do you have the Nerf to order something like this? We certainly hope so, because Nerf toys are really FUN! These balls and other sports items, along with the blasters and roleplay toys, are terrific gifts for kids and adults alike... including you. You can't lose with Nerf! 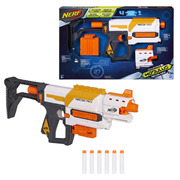 Nerf (or sometimes "NERF") is a type of toy created for safe indoor play that either shoots or is made of foam-like material. Most of the toys are a variety of foam-based weaponry, but there are also several different types of Nerf toys, such as balls for sports like football, basketball, and others. 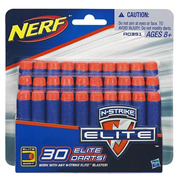 The most famous of the toys are the "dart guns" (also known as "blasters") that shoot projectiles made from Nerf foam. They often feature bright neon colors and soft textures similar to the flagship Nerf ball. 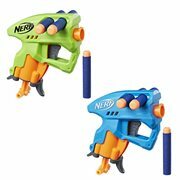 This article uses material from the Wikipedia article "Nerf" and is licensed under the GNU Free Documentation License.